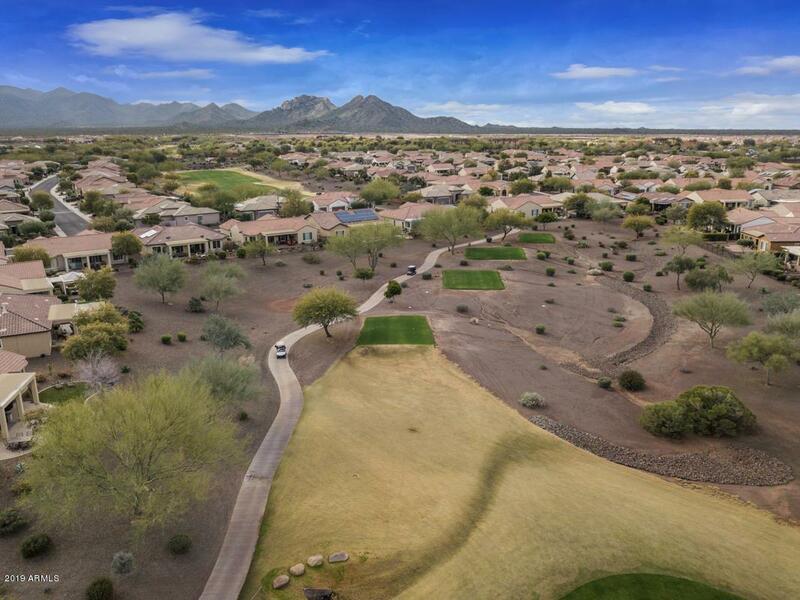 Beautiful must see Jubilee model located on a large lot overlooking the 14th green with a ''wash'' on one side that adds to a sense of privacy. 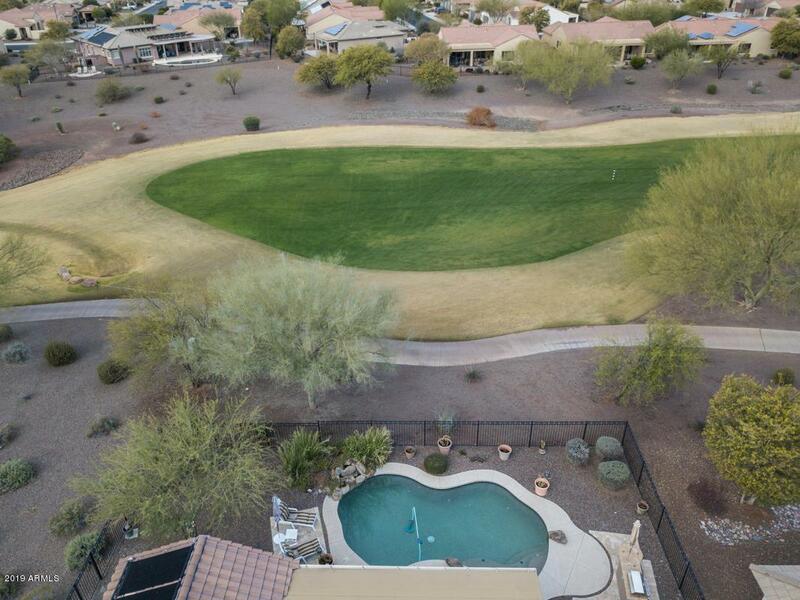 You will love entertaining on the patio that features gorgeous views, a pool, water feature, & built-in BBQ! 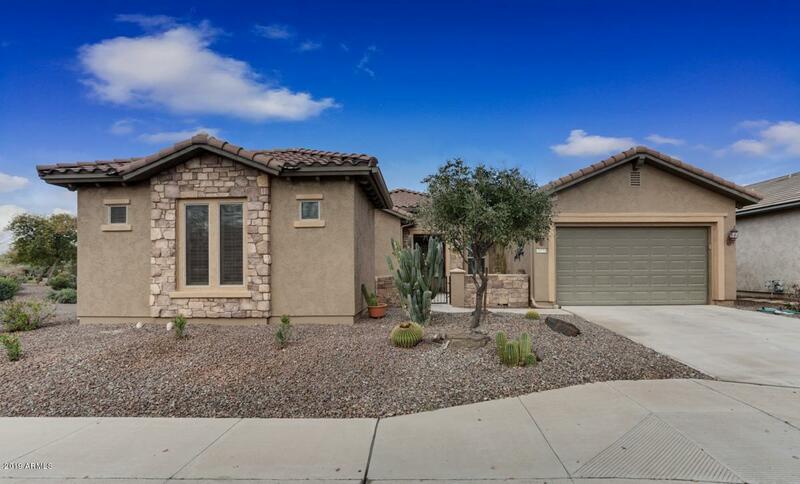 A guest Casita makes this a 3 bed/3 bath PLUS den home. 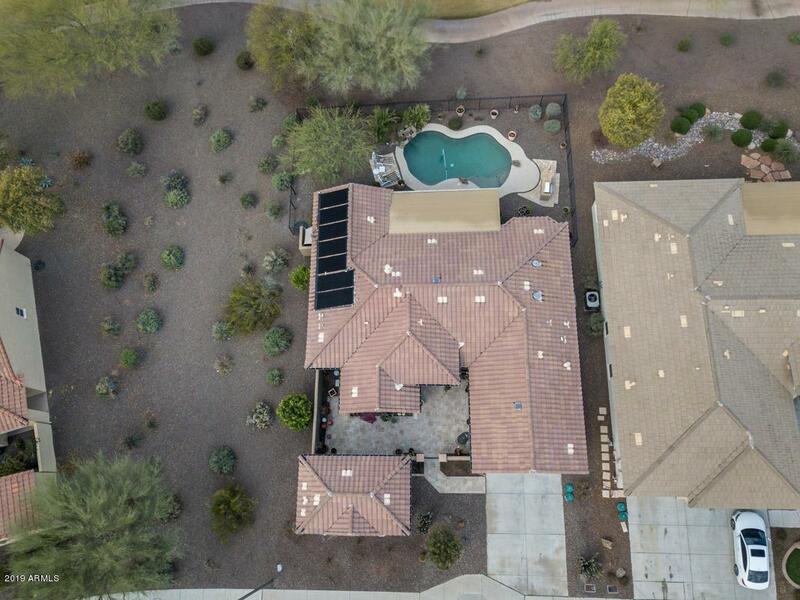 Features of this well appointed home include Tuscan elevation, travertine courtyard, custom paint, upgraded tile, open-concept great room w/fireplace, Plantation shutters throughout, Cherry cabinets, gas cooktop, kitchen island, large pantry, Murphy bed in guest bedroom, & solar to heat the pool. Master Suite includes dual sinks, shower /soaking tub, & large walk-in closet. PLEASE NOTE: The sq footage for the guest casita is not reflected in the 1961 s.f. stated in the tax records.